Signature NMD style with a technical edge. These juniors' shoes show off a dynamic mix of contemporary style and technology. 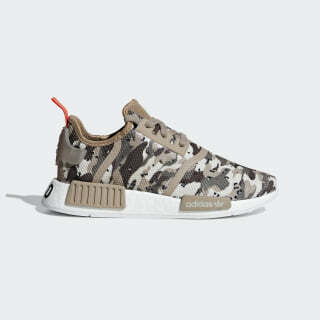 They have a minimalist sock-like upper splashed with a bold camouflage print. Contrasting midsole inserts bring NMD style to the springy, responsive cushioning.